Provide for your loved ones in a time of need. Pierce Insurance offers a range of plans for every stage of your life. 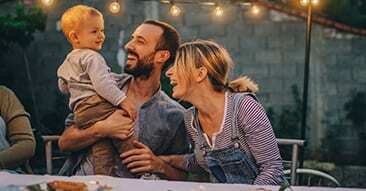 Whether you’re planning for a baby, getting married, switching careers or preparing for retirement, you can have the coverage that fits your needs. Term Life Insurance provides affordable protection for a specific period of time, usually during your working years. In some cases, coverage can be extended past your original term. Most people buy it during their working years, so if they die, their death benefit can help loved ones manage their financial needs. Get added coverage during your working years. Whole Life Insurance offers permanent life insurance with the ability to build cash value at a guaranteed minimum rate. Instead of adjustable premiums and benefits, the coverage remains consistent as you grow older. Get lifelong protection that builds cash value. Raising children is extremely rewarding, but education, extracurricular activities and day-to-day care can be expensive. Term Life Insurance can help ensure that they can be well cared for.